LG has launched the highly anticipated LG G6 at MWC. From prior teasers and analysis we pretty much knew what to expect and that is what LG delivered. In summary it’s a large screened smartphone which is still comfortable in the hand, it has lots of cute photography tricks due to the 2:1 screen and camera hardware packed in by LG, and many users will appreciate its water and dust resistance. A big screen (5.7-inch) that fits in one hand. A flexible camera for close ups and wide angle shots. A way to view and review photos while you are still taking shots - LG Square Camera mode. Built for unexpected accidents it is IP68 certified for water and dust resistance, plus resistant to accidental knocks and drops. Niceties among the above specs we haven't talked about previously include; the high PPI offered by the display which supports Dolby Vision and HDR10, a good amount of RAM, fast built-in UFS storage, and the flexible array of imaging options thanks to its trio of camera lenses and sensors. 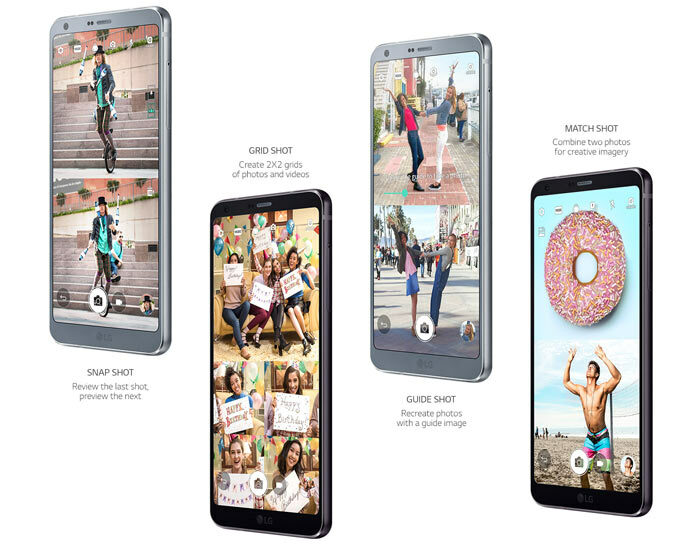 On the software side, LG's new G6 comes with Android 7 installed and key signature apps that make the most of the dual-square multi-tasking possibilities in-app and with dual apps. Watching the promo video gives some good examples of Square camera and landscape modes in action. 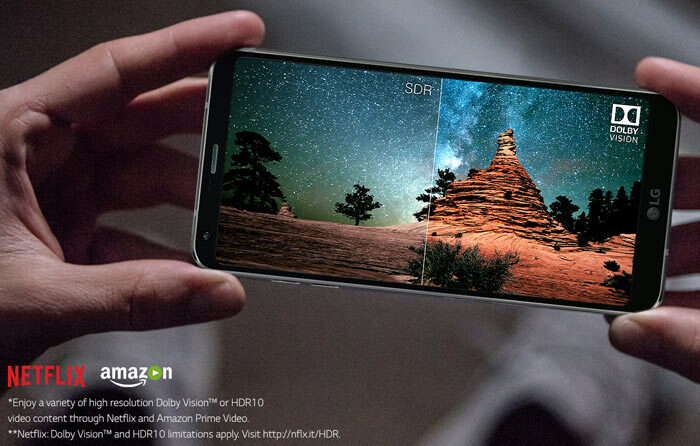 LG boasts the G6 offers Vulkan support and it Game Battery Saver can help you game for longer. The voice activated Google Assistant is built-in for hands-free help. LG's water and dust resistance looks quite useful. It's not just splash-proof, LG says the phone can be submerged in up to 1.5 meters of water for as long as 30 minutes. Helping the phone's durability further is the build design with consideration given to temperatures and impact accidents. For example there's an internal heatpipe and heat generating components are placed as far apart as is possible. 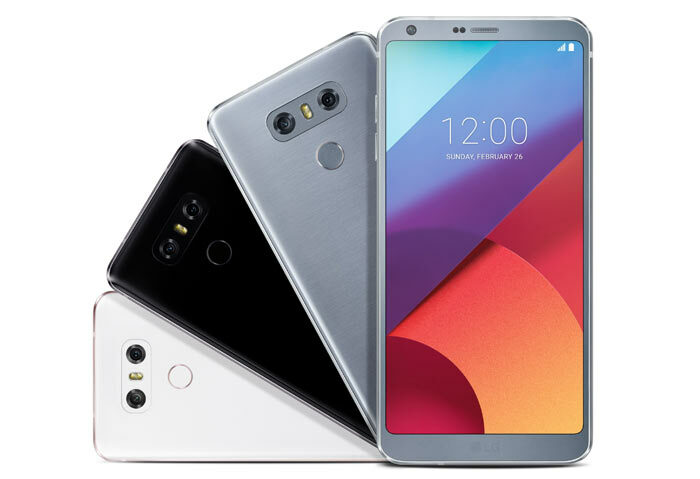 LG is yet to confirm pricing but a number of UK operators have said they will stock the smartphone when it becomes available and have pre-registration forms. The size isn't that bad, I had the G5 and while it was big it was easy enough to manage. Overall was hoping for a bit more from the G6, the stupid regional variations are a bit ridiculous. US gets wireless charging, no where else does. Some European models are 64GB, UK is 32GB. Korea(I think) gets a quad-DAC, everywhere else normal. Just seems a bit odd as none of those features change the overall look of the device and seems a lot of messing around when they could have had an all singing device for everyone. And its still using the 821 processor. Before the launch I was 100% getting one, now I am 50/50 and to be honest waiting to see what the S8 brings. BTW, why is the first YouTube video marked as private?